DESIGN is the most important issue for a Shopping bag. It includes Graphic Design, Innovative Drawing, Contemporary Sketch, Elegant Layout, Smart Outline, Visual Illustrations, Stylish Model, Colorful Pattern and Creative Graphics of a Shop Marketing Bag. Khatian Print provides shopping bag Design in different variety. Shopping Bags are different sized bags especially used for non-grocery shopping. It is used by shoppers to carry home their purchases. Some are intended as single use disposable products, though people may reuse them for storage or as a bin. Others are designed as reusable shopping bags. Retailers are more likely to provide paper bags to shoppers. Shopping Bags are used for Brand advertising. 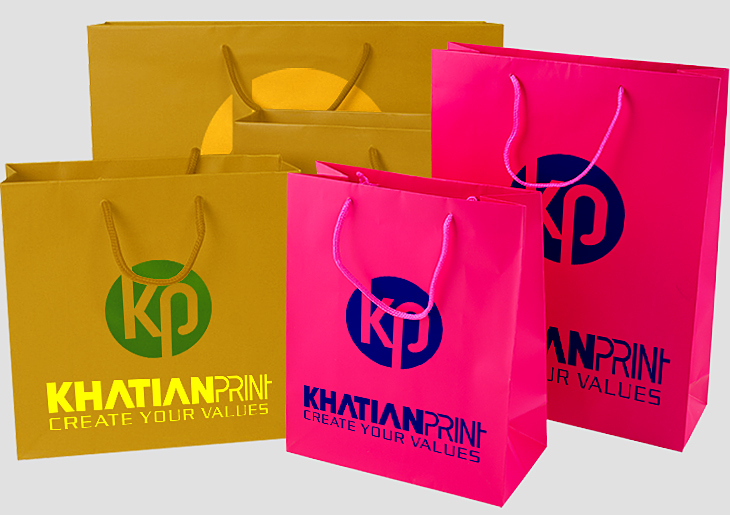 Khatian Print is a Shopping Bags manufacturer supplier exporter print printing company. Types and typical use of shopping bags vary by country. Creative shopping bags are increasingly used. Shopping Bag is a fashion trend. The Printing and Packaging industries are working to make it popular and fashionable. We supply and export Shopping Bags from Dhaka Bangladesh BD.